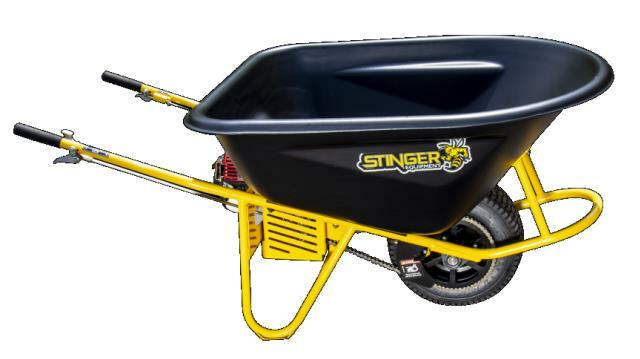 DIMENSIONS (LxWxH): 66" x 35" x 28"
Stinger's Go Barrow 9100 is one of the most versatile wheel barrows in the industry. A Honda engine and a smooth hydro transmission increase hauling capacity, while reducing operator fatigue. 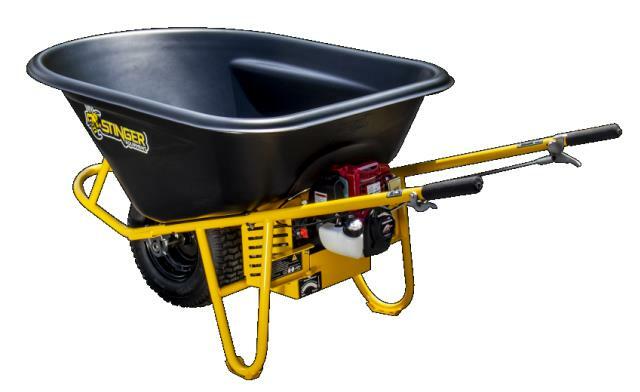 Wide single wheel design offers easy maneuverability in tight areas and load stability. 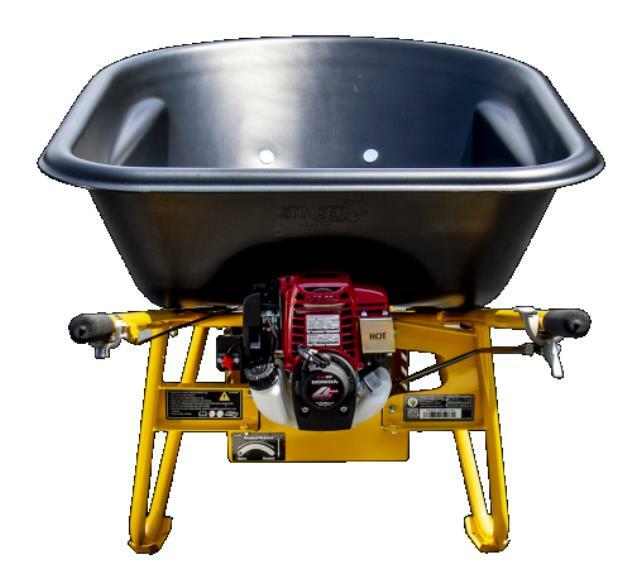 ** Please call us for any questions on our wheelbarrow 9cu ft. gas rentals in Fairview Heights IL.